PANL-C011 is a 40:1 bandwidth frequency independent fractal antenna panel for monitoring and moderate power transmit, optimized for use on conductive surfaces. 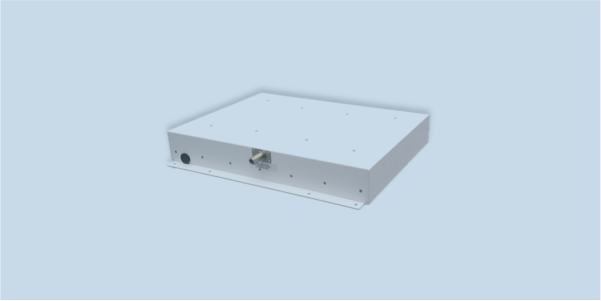 PANL-C011 is a wideband fractal antenna packing a 40:1 frequency range into a small radome-enclosed panel on a conductive surface. Less than ¼ of a wavelength in size at 150 MHz, the antenna is frequency independent, with boresight gains from -10 to 3 dBi. It possesses linear polarization and has an N-type female bulkhead jack for signal connection. Designed for receive-only or moderate power transmit, it can also handle up to 25 watts of CW power. Mounting holes are provided to allow the radome to be easily attached onto platform of your choice.